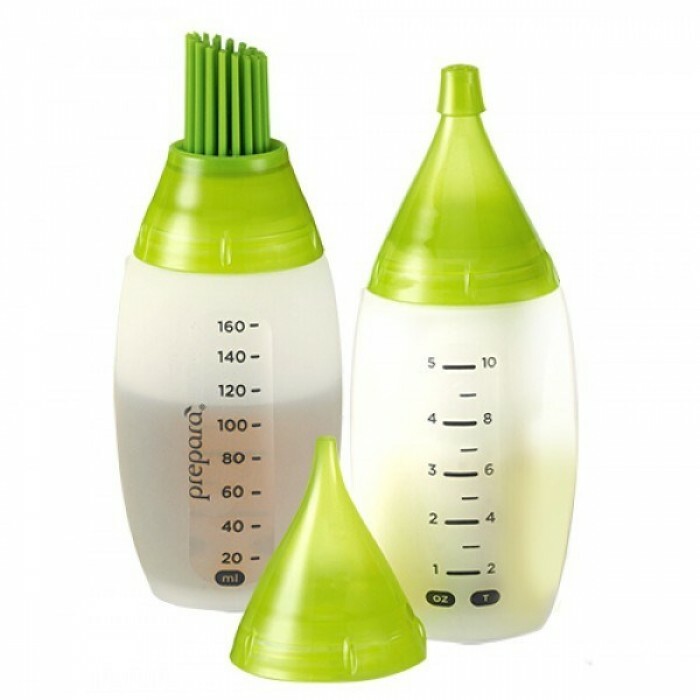 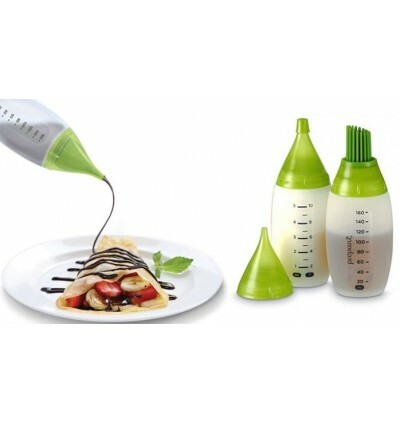 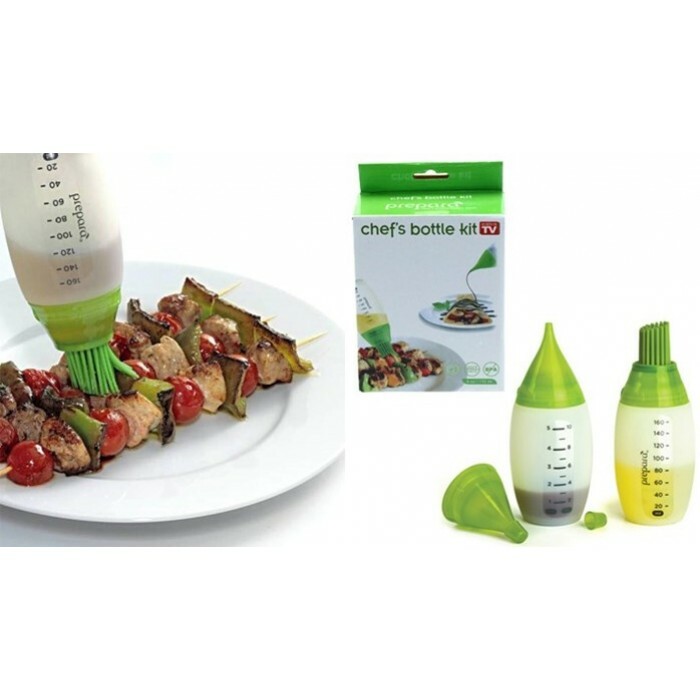 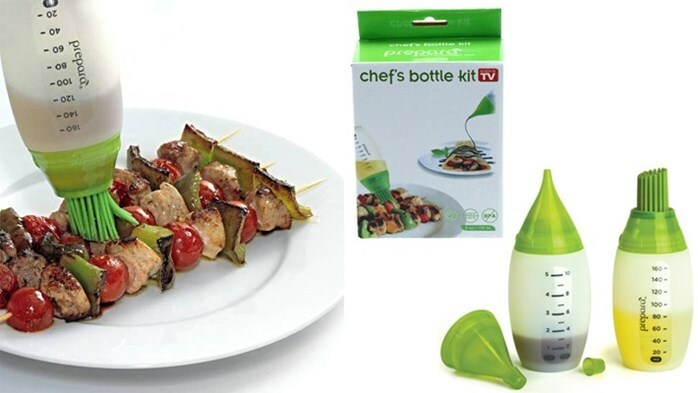 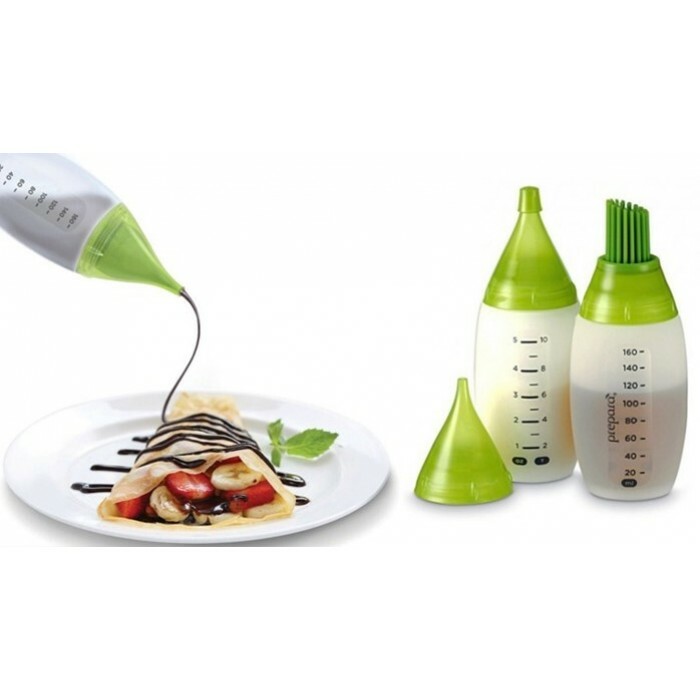 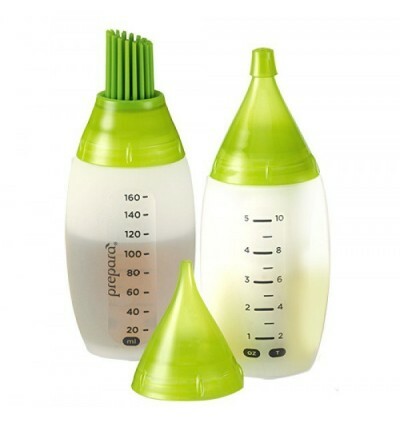 Create chef inspired dishes with our multi-tasking Chef’s Bottle Kit! 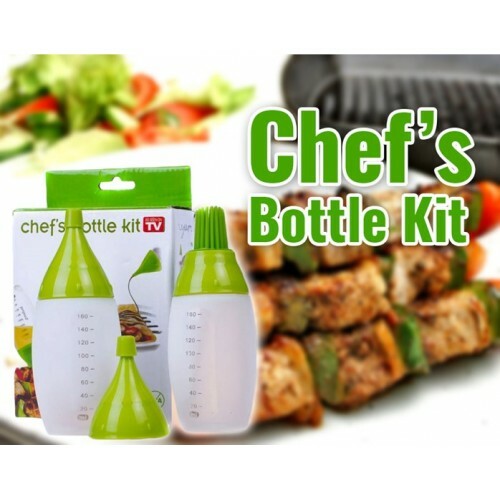 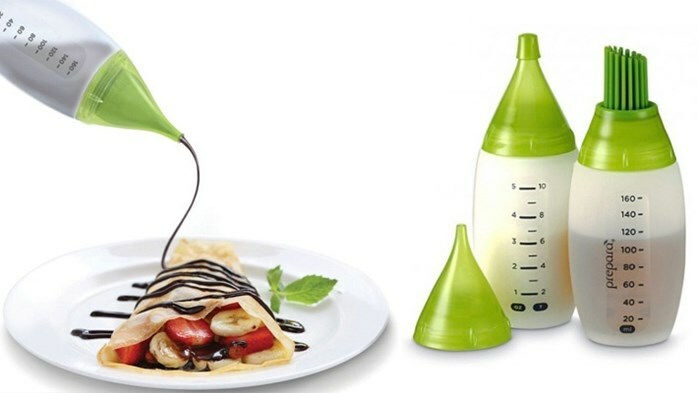 This versatile squeeze bottle kit allows you to baste meats, drizzle honey, squirt butter on your popcorn, brush on grilling sauces, inject cream filling, paint egg wash on baked goods, decorate cakes, dress up plates and much, much more! Whatever is on your menu, the Chef’s Bottle Kit can help take your culinary creations to the next level. 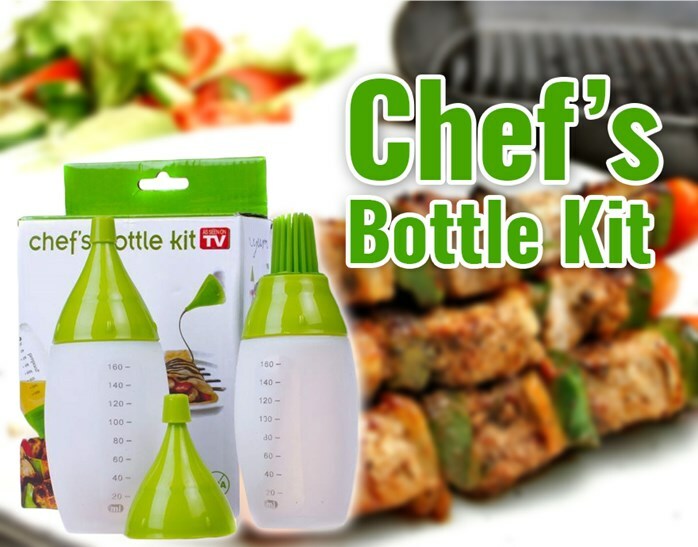 Each bottle has a six ounce capacity.